Sam agreed to be a case study for us as he was at his wits end over his acne skin. He had been suffering with acne vulgaris for his entire teenage years and although he is a confident young man, he admitted his bad skin really got him down and he had tried everything to get rid of it without much luck. Upon review of his skin, it was evident that he was suffering from mild to moderate acne vulgaris with some inflammation. The acne vulgaris was mainly localised to his cheeks and there was also some on his chin. There were evident inflammatory papules, with a few pustules in places. There was also evidence of some scarring left over from previous acne lesions. We tried four weeks of cryotherapy out of the recommended seven, before he was due to move to university with ten minutes of cryotherapy once a week. He used his own facial wash at home and did not use any creams as they only aggravated his acne. The anti-inflammatory properties of cryotherapy are used to treat chronic skin conditions such as acne,psoriasis, dermatitis, and eczema. With repeated applications Cryotherapy will assist in reducing the affected areas, relieving discomfort and during a treatment regime will even heal the area. The cold temperatures during a CRYO-Facial close the pores on the skin, and the surface temperature on the skin drops to around minus 7 to 8 degrees Celsius, in order to get back to the right temperature, a lot of blood and oxygen goes to the face, with more oxygen than normal going to the surface of the face, this Triggers an increased production of collagen, resulting in smoother, tighter, more even skin tone. It will improve the appearance of scars and fine wrinkles and you will increase the skin’s elasticity. Toxins stored in the layers of the skin are broken down and flushed away. The intense cold (-180) activates collagen production in the deeper layers of the skin, leaving your skin firm and tight. Triggers an increased production of collagen, resulting in smoother, tighter, more even skin tone, reducing visible signs of ageing. Speeds up the natural biological cell regeneration process, efficiently eliminating dead cells in favour of new ones. Frequency of Cryotherapy treatments for acne are usually performed once a week. Side effects of this treatment are negligible; although in some cases acne seems worse for the first 12 hours after the treatment. However after a good nights sleep the skin often looks much improved, as in Sams case after his first treatment he called me the following day to say how delighted he was as for the first time in years the red inflamed skin had calmed down and the pustules looked not as infected as normal and over all he was so happy. For the four week trial Sam saw a great improvement in his skin and work colleagues made comments on how well his skin looked and were impressed with the fast results to Sams skin as almost overnight his acne started to visibly look better. The extreme cold of the Cryotherapy treatment provides immediate relief from inflammation and irritation, reducing redness after only a few sessions. A continued course of treatments forces the body to reset it’s auto immune responses which in the case of Eczema and Psoriasis cause the excessive production of skin cells, as a result, over time, patches reduce and flare ups become less common. It is not a miracle cure and should be used in conjunction a healthy lifestyle and avoiding those things which you know cause flare ups for you, but it does deliver impressive result in many subjects. How Cryotherapy can ease the symptoms of Eczema. “Eczema” may sound like an exotic species of bird or plant. But for people who suffer from this skin problem, it’s an irritating, itchy, all-too-familiar rash. Eczema, also referred to as atopic dermatitis, can occur at any age, with varying amounts of severity. “In mild forms, the skin is dry, hot and itchy,” Severe forms of eczema result in “broken, raw and bleeding skin. Patients may become so uncomfortable they could suffer from sleep deprivation and uncontrollable itching.” Although it is not contagious, eczema makes the sufferer more prone to skin infections such as herpes or impetigo, a skin irritation characterised by fluid-filled blisters. Eczema is most frequently located on the face, wrists, hands and feet, and on the insides of elbows and knees. Eczema tends to occur in families with a history of asthma or hay fever. And stress can exacerbate eczema. Traditional medical treatments include topical and oral steroids. A health care practitioner may use ultraviolet rays to treat eczema or may recommend over-the-counter medications such as emollient creams. However, there is a new treatment you may never have considered but truly is worth trying as we are seeing some fantastic results and clients are keen to tell us how well Cryotherapy has eased their symptoms. One case study we did recently our client reported the following after his 20 minutes treatment on both his arms. Immediately after the treatment, his itching has stopped and he said: “I’m enjoying a few moments of peace, that I’ve not experienced in years.” His skin looked much smoother and all his sores had levelled with his normal skin and scarring had improved. The level of improvement over both arms was equivalent to 2-3 weeks of normal healing. Although he was impressed with the immediate results of his cryotherapy treatment he doubted that it would last and fully expected his arms to be back to their itchy selfs in a couple of days. One Week later he came back to tell us how pleasantly surprised he was that the improvements made after treatment had stayed that way, his skin felt less dry, looked less red and felt more moisturised. Some sores had returned but to a much lesser extent. Overall his skin was significantly less itchy and he felt they had achieved a new level of healing. We know how this painful skin condition can blight sufferers lives and make you feel utterly miserable. Which is why we run our skin clinics these places are limited and very popular. Oh and one last thing these treatments are so non-invasive they can be used on children and babies. How Cryotherapy gets rid of large open pores. “what causes open pores?” We all have pores on our skin that represent openings of oil glands; when these openings are excessively dilated, they are termed as “open pores”. This article answers “what causes open pores?” or what causes these openings of oil glands to get dilated. During puberty, increased hormonal levels trigger increased oil secretion from oil/sebaceous glands. Eventually, the opening of these sebaceous glands become clogged with dead skin cells and debris restricting the flow of increased oil leading to distension of their opening which is visible as open pores. Since sebaceous glands are dormant until puberty, hence open pores are not seen in children. In older age, the laxity of skin leads to open pores. “What Do Open pores look like?” they look like small pits, giving your skin a dimpled appearance similar to an orange peel. They impart an irregular, dull and aged look to your face. Open pores are concentrated mainly on your nose and adjacent cheeks; for those of you who have very, oily skin may notice them on the outer part of cheeks and forehead as well. “How can Cryotherapy help me with my open pores?” A CRYO-Facial is a revolutionary anti-aging facial treatment which is non- invasive CRYO- Facials uses the applications of liquid nitrogen streamed on the surface of the face which is very relaxing. Firstly, the cold temperatures during a CRYO-Facial close the PORES on the skin, and in the process tightens the skin. During Cryotherapy treatment the skin vessels and capillaries undergo a period of vasoconstriction (constriction of blood vessels) followed by vasodilatation (dilation of blood vessels) upon finishing the session. These causes Toxins stored in the layers of the skin to be broken down and flushed away. The intense cold (-180) activates collagen production in the deeper layers of the skin, leaving your skin firm and tight. We have had clients report back to us that without them touching the skin they have debris oozing out of their the blocked up pores and seeing much improvement in their size of their open pores after their very first treatment. We love what we do and that is making you look and feel your very best. How does Cryo-Stimulation reduce fat and cellulite? Stubborn, hard to shift fat, tends to be located in areas of the body which have a much higher density of alpha-receptors; these react with hormones and actually inhibit fat lipolysis. In addition to this, certain areas of fat also have a much poorer blood flow. This means that the blood borne hormones which react with the receptors in order to trigger lipolysis are actually unable to reach the fat cells and therefore, the fat can’t be broken down. When the surface of the skin is cooled, blood flow is stimulated and lymphatic circulation improves in the target area, which is extremely beneficial for reducing cellulite. It also converts white fat, which stores energy, into brown fat, which actually burns calories in order to produce heat. For best results, one session per week for 5-10 weeks is recommended. results seen on live on Alan Tichmarsh Chat show after 1 hour treatment. Results are visible immediately following treatment, but continue to improve over time. 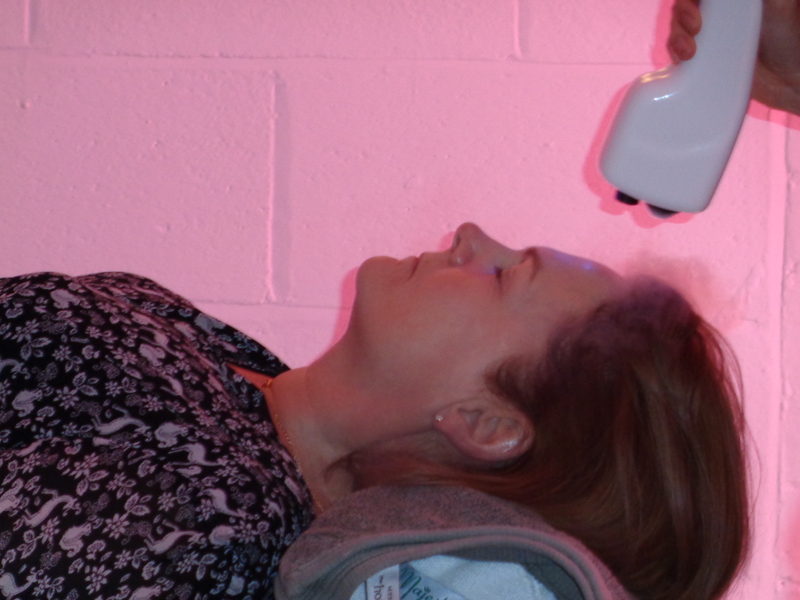 Using Cryotherapy and Holistic Hot and Cold Therapy as a simple all round health and beauty solution could be the answer to problems from cosmetic flaws to aches and pains. Here you will find lots of information on why natural methods in health and beauty, including detox, is so important in today’s modern world of harsh chemical products and invasive beauty treatments. 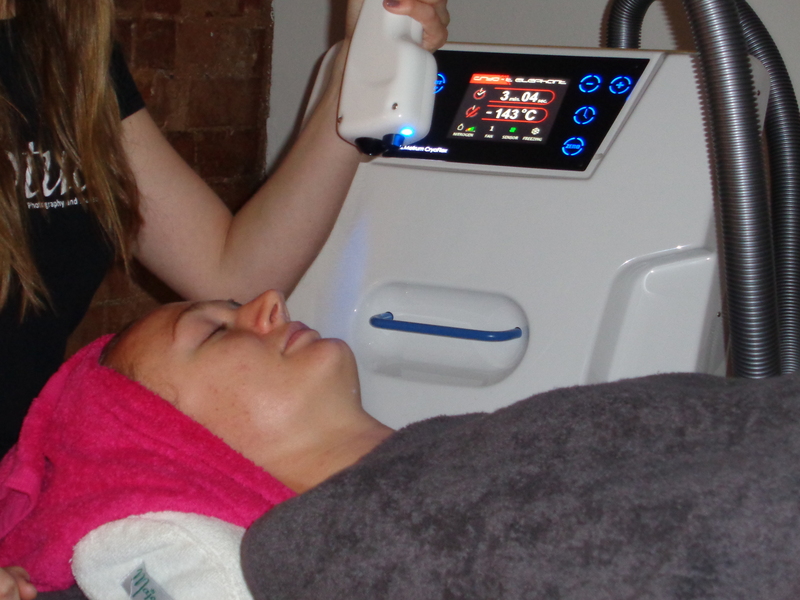 Cryotherapy treatments for Psoriasis, Eczema, Acne and Rosacea. Between 1 in 4 and 1 in 5 people suffer from some form of chronic skin disease, the most common being Psoriasis, Eczema, Acne or Rosacea. Because these conditions seem to be caused by different factors in different people, none of these conditions can be fully cured. As a result, most treatments involve simply treating the symptoms with no long term relief. While they may not be fatal, these conditions have a severe impact on the quality of life of sufferers and their general happiness and well being. Cryotherapy not only treats the symptoms, but also forces the body to reset it’s immune system to fight the underlying infection. The extreme cold of the Cryo-Medical treatment provides immediate relief from inflammation and irritation, reducing redness after only a few sessions. A continued course of treatments forces the body to reset it’s auto immune responses which in the case of Eczema and Psoriasis cause the excessive production of skin cells, as a result, over time, patches reduce and flare ups become less common.